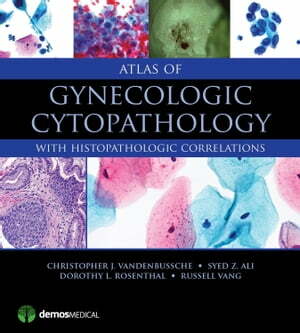 Collins Booksellers - Atlas of Gynecologic Cytopathology by Christopher J. VandenBussche, MD, PhD, Syed Z. Ali, MD, FRCPath, FIAC, Russell Vang, MD & others, 9781617052101. Buy this book online. This Atlas offers concrete diagnostic guidance for anatomic pathologists to accurately identify gynecologic tract disease using PAP tests. It not only illustrates the cytomorphology of cervical specimens, but also presents and contrasts common problem areas that can lead to erroneous interpretation. Clearly and concisely written by leaders in the field, this volume is a practical desk reference for all facets of the diagnostically challenging area of gynecological tract exfoliative cytopathology. The Atlas features nearly 500 carefully selected high-resolution color images detailing important aspects of gynecologic tract disease. Additionally, the bookís images of the histopathology and gross characteristics of lesions provide morphologic correlations that will be relevant to cytopathologists and surgical pathologists alike. To provide a broader, more enriching perspective, the Atlas features a special chapter on the colposcopic characteristics of cervical lesions to provide a differential diagnosis through the eyes of an experienced gynecologist. It also reviews the updated management guidelines of the American Society for Colposcopy and Cervical Pathology (ASCCP), providing a multidisciplinary approach to enhance the readerís understanding of how cytopathology, histopathology, and colposcopic information together create a powerful tool for the prevention and early detection of cervical dysplasia and cancer.